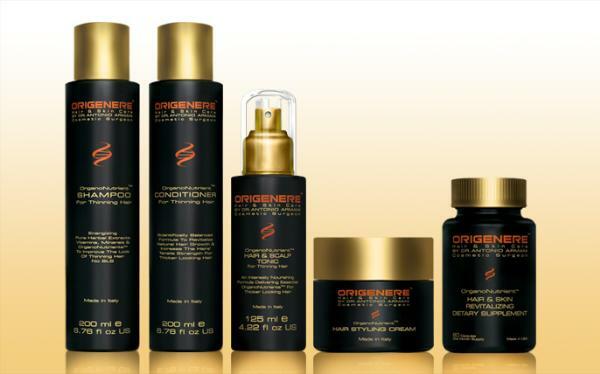 ORIGENERE™ products are designed to provide targeted skin and hair protection. Each ingredient is specially chosen to provide certain functions in each individual product. All our products are fragrance free and color pigment free. Fragrances and coloring pigments are often the primary causes of sensitizing and allergic reactions. Other potentially harmful, but commonly used ingredients such as parabens, sodium and ammonium lauryl and laureth sulfates, methylisothiazolinones, and hydroquinone that have been implicated as hormone disrupting and potentially carcinogenic have been eliminated from our ORIGENERE™ products.